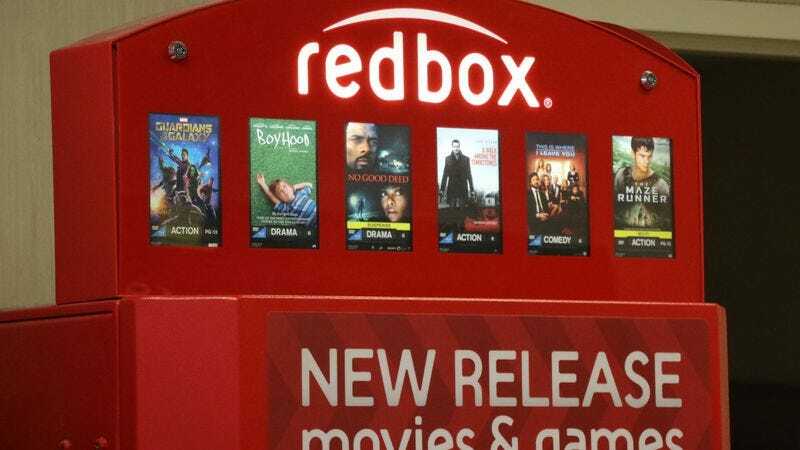 Back in 2013, the movie-rental kiosk company Redbox announced the launch of a new video subscription service, called Redbox Instant, to much fanfare and excitement within the confines of the Redbox corporate headquarters. A joint venture with Verizon, the service was intended as an alternative to industry leader Netflix, and proved to be exactly as popular as a business venture that shutters its doors 18 months later would lead you to believe. It’s unclear what combination of factors contributed to its failure, but presumably a lack of interest in being able to stream The Hangover Part III played a role. But the company now thinks it may have finally figured out how to crack this whole “streaming” business, and is even thinking about trading in the rabbit ears on top of its old rotary-dialed television and getting one of them fancy blinking box things. Variety reports Redbox Digital, a new streaming service, is currently undergoing a testing stage with some customers. Unlike the last attempt, this plan sticks with VOD and EST options for customers, and includes an iPad app for the new service just published on the App Store. However, much to the consternation of longtime patrons who may have downloaded the app, only a small subsection of the company’s current customers are permitted to log in, perhaps as an inverse mirror of the small selection of films available at any given kiosk. Those customers who are part of the test, however, will find a selection of films much larger than the several hundred possibilities at each physical station. Screenshots of the app suggest it will be compatible with Google Chromecast streaming adaptor and other devices compatible with the tool. Variety also notes the company is planning to pair it with Roku devices, as well. No word yet, however, on whether the service will be compatible with a general lack of need for another in the endless sea of streaming service options, as though America was just waiting for a 17th way to download Grown Ups 2.